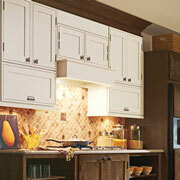 Kitchen remodels are high-stress remodeling job because a kitchen is one of the most public places in a house. As a contractor, it is your job to find the materials that will make your client’s kitchen one-a-kind. At ProSource®, we have plenty of materials that will be able to fill any kitchen project with high-quality products. Visit your local Lakeland location and see for yourself our extensive collection. Kitchen cabinets should be made to last. Unfortunately, some manufacturers create cheaply and then market off products to seem like they are higher in quality. At ProSource, you are only getting the very best. Learn more at our showroom. 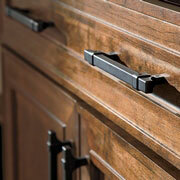 If your clients are looking for the perfect handles or knobs for their cabinets, our showrooms have what they need. At our showroom, you and your client will be able to test out the hardware and determine if it is a right idea for your project. 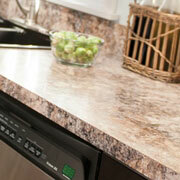 Countertops are an essential piece of any kitchen. At ProSource of Lakeland, we have all kinds of countertop materials, from granite to marble! Visit your local showroom to get a peek at all our options. 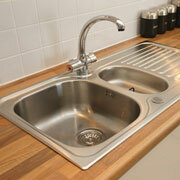 If your clients are fed up with their small sink, now is the time for an upgrade. Learn more about your client’s remodeling options at a local showroom. At ProSource we have an inventory in every category, including kitchen faucets. 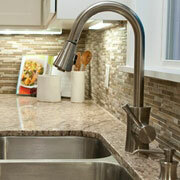 If you are looking to enhance your client’s kitchen, a well-constructed faucet is the way to do that. Learn more at our showroom.